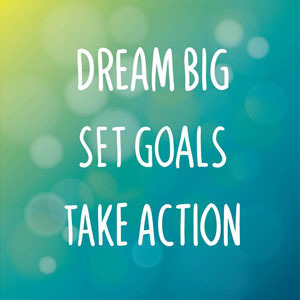 Dream Big, Set Goals, Take Action! We're a few weeks into 2018 and I know many of us are in the goal-setting mindset, which is great! I love to dream big and write down my goals at the beginning of each year to focus and prioritize my efforts over the future months. If your biggest goals revolve around career, ambition, abundance and productivity, I want to help you! January 16th is a New Moon and marks the beginning of a brand new theme in our Lunar Yoga community - Career, Productivity & Ambition. Together we'll be doing a special New Moon Yin Yoga practice, journaling exercise and guided meditation to set goals and intentions that are from the heart and in-line with our soul purpose. We'll also be reading "The Desire Map" by Danielle Laporte for our monthly book club and we'll have a Desire Map Facilitator as our guest speaker to help guide us further into this process. If you'd like to set goals that stick and truly make a difference in your life, this is the sisterhood that will help you get there. Our community is like no other... Supportive, honest, vulnerable and willing to go all in. ...it's time to join us. Along with the New Moon bundle, book club and guest speaker interview, by joining you'll also get access to our Full Moon bundle, a live group call and our members-only Facebook group. Not to mention the entire Lunar Yoga library! That's every single yoga class, journaling exericse, meditation and interview since January 2017, yours to download and keep forever! Every month focuses on a new area of life, a brand new theme so you can continually challenge yourself through spiritual growth and deep inner work.​ I don't know about you, but I want 2018 to be spiritually charged, transformative and heart-centered. If this sounds like your kind of tribe, I want to give you even more incentive to join us..